Margaret K. McElderry Books, 9781481488440, 288pp. "A dark and enchanting tale about friendship, pain, revenge, and the power of love, The Cold Is in Her Bones is the perfect read for Greek mythology fans and YA readers alike." 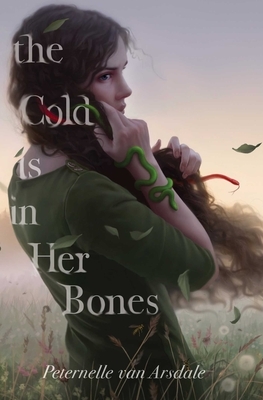 "Written with compassion for the deplorable situation of girls in a strange world, The Cold is In Her Bones is very relevant and not so strange for young readers, who must contend with demons all the time in today's reality." "A dark, magic-infused story lit by bravery and hope." "A cautionary tale that warns against ignorance and shines a spotlight on feminism." "Lush with detail and symbolism and filled with strong characters who defy basic labels, the tale brings into sharp relief the experiences of the disenfranchised, the angry, and the powerless. Van Arsdale unrolls an artfully constructed series of events that will engage, frighten, and delight." * "A dark, angry fairy tale."